If anyone wants to know what hypocrisy means and what is its practical manifestation well it does not get better than this. This joker (Muhammad Nawaz Sharif) was interviewed yesterday by BBC. A protege of General Ghulam Jilani and a product of General Zia’s martial law, Nawaz Sharif never tires of lecturing us on the benefits of democracy. If anyone wants to know what hypocrisy means and what is its practical manifestation, well it does not get better than this. Watch and learn as it unfolds before you in its finest hour. Financed by the ISI with illegal funds and propped up by the Establishment’, he says he always follows the Constitution and the Law. Maybe his dictionary is different from what we are accustomed to reading, but the Constitution for Nawaz in his eyes is a set of rules to facilitate his thievery. He is so bitter about the ‘PCO’ judges but is indifferent to how he himself rose to stardom on the shoulders of the so-called Establishment. Selective in his judgements, partial in his dealings and unfair in his conduct, he is not a man that even a child can trust. They first took out the clause restricting membership to the assembly for the educated only and ushered in the uncouth scum of this country, the fools we now suffer on TV with their slapstick arguments, insulting one another in the basest accusations one can ever be exposed to. Then they took away the powers of the President to dissolve the assembly, removing all checks and balances, giving themselves free license to loot and rob with wanton abandon. Now they want to remove articles 62 and 63 so that morality does not come in their way as they continue to misgovern this hapless nation. Crying crocodile tears over the demise of democracy, Nawaz was directed to hold a Census by the SC just as he was made to hold Local Body Elections by them. In fact, he was forced to convene the NSC by the SC. His most memorable decisions were ones that were forced by the SC through a suo moto action on account of his reluctance to do the right thing. His idea of democracy is limited to circumventing the National Assembly and avoiding the parliament. In his democracy, government funds were distributed to legislators, (just as they had been before) in the garb of development funds, as a bribe and a reward for good behaviour. He did this as if it was his father’s country and we were all serfs who were obliged to contribute to this aberration. So much so that we are now taxed for transferring funds from our own savings to our current account while people such as him get away with tax evasion as they lecture us. He insists that 200 million voted for him knowing fully well that he got only 14% votes and that too not to him alone but to the PML-N Party as a whole. He talks of conspiracies, whereas he was removed for his deceit and theft; he fails to acknowledge that his Party still has two PMs: one in Azad Kashmir and the other of Pakistan; that his Party still has a Chief Minister in GB, Punjab and Baluchistan despite his wrongdoings. Where does he find that conspiracy against him and that too an international one? Here is a man who is responsible for stabbing his colleague Junejo in the back, scuttling Benazir’s Government twice, personally going to Court to have Gillani removed, and then having the gall to say, “No PM has ever completed his term”. Never mind that his beloved Constitution does not specify the term of a PM but mentions the term of a Government only. That this small fact escapes his limited intellect, that the world over, PMs come and go, but it is the Governments that remain. He talks of disclosing conspiracies but his moment never arrives, he speaks of the rules of business but violates all. His nepotism and violation of merit stand out in every government institution as he corrupts all, FBR, NAB, SECP, State Bank, FIA etc. His hostility towards the judiciary is well established as he presided over the only ever physical attack on the SC. His animosity against the military despite how he was ‘wrongly’ facilitated by them, is amply displayed by his conduct. He bites the hand that fed him. He illegally ordered the hijacking of an aircraft, got his name cleared by a kangaroo court and now reasons that you cannot hijack a plane from the ground! Well then using the same logic, ‘you cannot do a coup from courtroom as well’. He forced out General Karamat for suggesting a National Security Council and then shamelessly constructed one later on. Claimed he had no idea about Kargil though was briefed numerous times. A compulsive liar, a trait that his ‘children’ have inherited and are famous for displaying on every occasion. Somebody adamant in negotiating with terrorists till he was shamed in backing down after the APS incident. Politicised the police and made every department of government dysfunctional including NACTA and NAB. Conspired against his own military to bring them into an international dispute through the Dawn Leaks and have them declared as a proscribed Group facilitating terrorism; an Indian objective. A leader who bred and nurtured Chotu Gangs while restricting Ranger operations in Punjab. He did this with a straight face while he ordered such operations in Sindh with easy abandon. He collaborated with extremists and ignored the sacrifices of the likes of Colonel Shuja Khanzada who battled for Pakistan. A shameless man who has put his sons and daughter in the line of fire to save himself. Who did not stop at sullying the reputation if his own dead father to explain his own wrongdoings? A cheat and a petty crook, who ensured that government was meant for his own well-being regardless of the consequences as he misused his authority everywhere and plundered resources without remorse. He did not stop taking credit for projects conceived well before him, such as the Gwadar Port or taking massive commissions from those that he did initiate. He mortgaged the country into an unsustainable debt, businesses closed down and migrated, exports fell and agriculture destroyed. Circular debt has become unmanageable as energy has started shutting down. Ghost schools haunt the nation and no hospital in the country is good enough for him or his own family as they flee to other countries for medical attention. Today India prides itself on giving visas to Pakistanis needing medical help. A PM who during his tenure, never made a single meaningful statement on Kashmir, who tried to facilitate India where ever he could. Protected the terrorist Kulbashan while collaborating with Sajjan Jindal in his personal businesses at the cost of the country. Insisted on running the foreign affairs himself where he woefully disgraced us in Saudi Arabia as he sat like a poodle while India earned accolades and we were insulted over the War on Terror despite our sacrifices. Tried to pimp his way into relevance into the Saudi-Qatar affair where he was never taken seriously, just as he was not when he unfolded his chit to read out to Obama, that “Dal and Qeema” awaited him in Pakistan. Mr PM, it is what you did not do: Govern Pakistan, the only mandate given to you and your band of thieves. You failed us internationally, you let us down before our friends and enemies alike, and you robbed us. May the Lord have mercy on you and your soul. Next round of foul play was witnessed on March 12, on which the election for the offices of Senate chairman and deputy chairman took place. PML-N with highest numbers of seats had fielded Raja Zafarul Haq to contest against joint opposition candidate Sadiq Sanjrani from Balochistan. Zafarul Haq was appointed at the 11th hour when PPP refused to accept PML-N’s proposal to field outgoing chairman Raza Rabbani. For the seat of a deputy, Usman Kakar from Balochistan was pitched against Mandiwala (PPP nominee). The opposition band comprised of PPP, PTI and MQM (Bahadurabad). A perception that Senate elections were in jeopardy was given hype by the media and PML-N social media in the wake of the events that had unfolded starting with the Supreme Court removing NS from office in the Panama Papers case to a ruling that barred NS from holding the office of party president. As Senate elections drew nearer, this narrative bugged the minds of all the mainstream political parties and had become a hot topic for discussion by the analysts. Some baseless rumours gained currency and several scenarios about future political dispensation were floated and heatedly debated on social media. The most hyped themes were ‘technocrat government’, and ‘nexus between Establishment and Judiciary. While NS and his lobbyists blamed the judiciary for being prejudiced, anti-NS lobbyists bucked up the judiciary and kept elbowing it to hurry his conviction in three reference cases. The seeds of discontent were sown in January when the PML-N lost its coalition government in Balochistan after a revolt within the party. Many started to argue that this political move in Balochistan, at this point in time, was being orchestrated by the invisible `non-political forces` in an attempt to delay the Senate polls or to deprive PML-N of winning Senate elections. Despite the obstructions, the Senate elections could not be delayed. But those intent on disrupting the democratic process had more tricks up their sleeves. 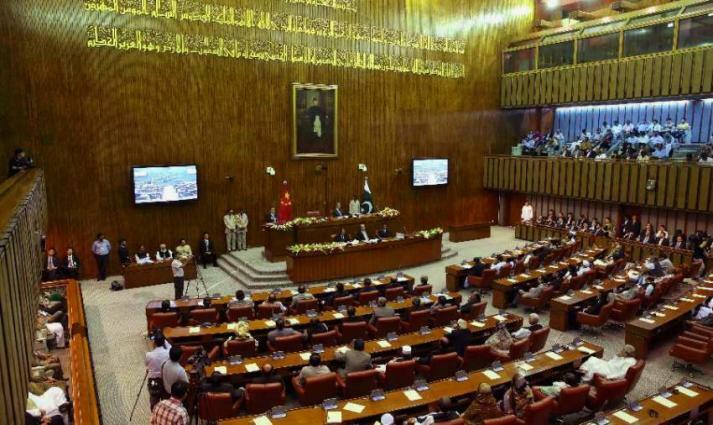 Analysts and political pundits in Islamabad believe that once `Plan A `to delay the Senate elections failed to materialise, the `schemers` implemented `Plan B` and deprived the single largest party of the upper house of getting its nominees elected as the Senate chairman and the deputy chairman. Similarly, it was also opined by some politicians that when `their` plan to force the government to call it a day through Faizabad Interchange dharna failed and the next plan to bring Zardari and IK together through Pakistan Awami Tehreek (PAT) chief Dr Tahirul Qadri in last January also backfired, they managed to achieve the same target through unknown young Balochistan Chief Minister Abdul Quddoos Bizenjo belonging to PML-Q. It has unveiled the wily plan which is similar to the birthing of King’s Party by Gen Musharraf in 2002. Other suchlike experiments were MQM, MQM Haqiqi and PSP. We know the fate of those experiments. For the first time, a national party had won a sizeable chunk of seats in Baluchistan in 2013 elections and it might have further improved its vote bank in next elections. Regionalization of politics and marginalization of national political parties, when seen in context with germs of provincialism and 18th Amendment, is harmful to the federation. The BAP soon after its inception on March 29, made history by inducing exiled Juma Khan Marri to return and join the new party. Hopefully, more would return. If the intentions of BAP are sincere and based on the honesty of purpose to make Baluchistan peaceful, integrated and prosperous and free of racial prejudices, I wish the new party all the best. Many in the PTI rank and file are unhappy with the leadership`s decision to enter into an undeclared alliance with the most corrupt Zardari. They feel that the party has compromised its high moral ground. In order to hide his embarrassment and to pacify PTI activists, IK futilely tried to justify his volte-face by saying: `Had we allowed the PML-N to bag the office of the Senate chairman, they would have brought legislation to save the Sharifs from accountability and to protect the money that they have looted. The other fear of PTI, PPP, Judiciary and the Establishment was that after winning a majority in both the houses, PML-N will not only restore NS but also clip the wings of Judiciary and Establishment. PTI’s leading lights naively feel that the move made by their leader has not only blocked PML-N from gaining a majority in two houses but has also lessened the chances of victory of PMLN in coming elections and brightened the chances of PTI. Saner elements and experienced politicians, however, are not buying their arguments and believe that machinations in the Senate polls amount to razing of a genuine political mandate and will harm democratic progress. Some are suspecting that once the initial plan of sabotaging Senate elections backfired, Plan B was launched to put up controlled Senate with puppets running the show. They say that perhaps Raza Rabbani and Farhatullah Babar advocating supremacy of parliament were irreconcilable. Some of the reasons behind Plan B were the sinister designs of ruling party, hype created by media about annulment of certain clauses of 18th Amendment in the constitution, supposedly harmful to the integrity of the federation, allegedly professed by COAS Gen Bajwa, together with so-called Bajwa doctrine and the circulating gossip that ‘Army was standing behind the judiciary’. Nationalist Senators from Baluchistan affiliated with PML-N were in high temper and expressed their deep resentment after the results were announced and the first session of The Senate was presided over by Sanjrani. They bewailed that they had managed to build a semblance of the supremacy of parliament, brick by brick, but now they felt that the house had crumbled. Hasil Bezinjo angrily said that the face of parliament had been blackened. PM Khaqan Abbasi has made things further difficult for Sanjrani when he stated on March 24 that he commands no respect among the masses since votes were bought to make him the chairman. He suggested his removal and replacement by consensus chairman. Some quarters are suspecting that PML-N may use the money to bring a vote of no confidence against Sanjrani. BAP leaders have taken offence to Abbasi’s outburst and threatened to march to Islamabad if he doesn’t take his words back. All eyes are now set on the NAB’s verdict on three cases which have already crossed the deadline of 15 March given by apex court. So far no documentary evidence has been furnished before the trial court by prosecution witnesses including Wajid Zia that NS had any linkage with Gulf Steel Mills, Al-Azizia Steel Mills and Avenfield apartments, or he had any role in these deals. It was also not established that NS had any connection with Qatari royal family. These have apparently gone in favour of NS and has deeply upset his antagonists. As if this worry was not enough, sudden and unplanned meeting of PM Abbasi with chief justice Saqib Nisar on March 27 is giving sleepless nights to them. They are trying to read too much out of it and fear that some kind of NRO may not have been agreed upon to let NS off the hook. Earlier on, a rumoured meeting between COAS and CM Punjab had also disturbed the opponents of PML-N. However, in the wake of NS’s unrelenting attacks on the judiciary, they are very hopeful that soon he will land in jail. It was against this backdrop that the DG ISPR dropped another bombshell upon the rumour mongers by making it clear in his press briefing on March 28 that the Army had played no role in political manoeuvring, nor has anything to do with NRO, or had sought an alteration in 18th Amendment. He said that the news about Gen Bajwa-Shahbaz meeting was false. He also clarified that Bajwa doctrine was misquoted and wrongly interpreted and that it envisions safe, secure and peaceful Pakistan and nothing more. He rejected the impression that the Army was behind any dharna. About elections, he stated that EC is empowered to announce dates and sitting government and interim setup have a role in it. His briefing has punctured the balloons of the gossipers trying to tarnish the image of the military. The people are looking forward to timely elections but for that delimitation of constituencies has to be completed by Election Commission (EC). The PM and opposition leader are required to form an interim government. It is generally perceived that given the level of aversion, differences over selection of caretaker PM and CMs will prop up and perforce EC will do the needful, failing which the Supreme Court will step in to resolve the issue. A smooth and peaceful transition will strengthen democracy. Despite all the internal difficulties and external dangers, I still believe that Pakistan has a great future and it has the requisite potential and resilience to overcome the challenges. Pakistan is blessed with infinite resources and CPEC is a major project which is a ray of hope in these melancholic circumstances. Since political stability is going to play a pivotal role in the development of our country, what is needed is electoral reforms. Democracy is essential for a better Pakistan but certain crucial reforms are required such judicial, bureaucracy, police, education, media, and moral reforms. These projects should be undertaken either by the caretakers or by the next elected government. I AM happy to write this in Calibri font, as it is not illegal anymore. But this piece can only be written in this font because it deals with issues created by the illegal use of Calibri. While my media friends are chilling out, watching Najam Sethi’s PSL and cruising on calm warm waters around Dubai, the political temperature and the battle between institutions back home has almost reached the boiling point, or the dead end. After what has happened, and is happening, the policy of judicial restraint and strict non-interference by the military and security establishment has stretched so thin, it can snap any time. The salient features of the present picture include: – After Nawaz Sharif has been legally sidelined, his ambitious and energetic bro in Lahore is now stuck neck deep in a swirling mass of quicksand, sinking deeper by the day, nay hour. – His open support and instigation to a revolt by the Lahori bureaucrats has almost wiped out his chances of becoming the next leader of the country. – Nawaz himself has conceded defeat by saying he is sure to get convicted in the few remaining corruption cases. So his policy is: After Me, the deluge. – He has unleashed his defiant daughter but she is also in the same boat and will sink together with his dad. – The NAB, backed fully by the Supreme Court and the armed forces, has launched a frontal and direct offensive in Punjab, ending its policy of passive restraint. – As all of these institutions are on the right side of the law, NAB has been threatened and challenged by provincial government, which in fact should have been helping the NAB to catch the corrupt. It is just the reverse and untenable. – After Shahbaz’s hitman Cheema was arrested, the next in line is Nawaz’s right-hand man Fawad Hasan Fawad and he is reported to have joined a gathering of protesting baboos in Lahore through a video conference. – PM Abbasi flew direct from his TAPI visit to Lahore to huddle with Shahbaz and nothing about their meeting was said. – They could, however, have discussed only two things. PM telling CM to stop the Punjab baboos revolt or PM agreeing to CM’s demand that same strategy should be adopted in Islamabad. Both are a no-win prospect. – The embedded perversity in this situation is that those in government are rising in revolt against their own authority. If the revolt persists, Shahbaz government sinks deeper into dirt. If the same happens in Islamabad, Abbasi would subvert himself. – With the political prism standing on its head, lop-sided, it does not need even a nudge to overturn it. – The last push could be coming from Islamabad where reports of a presidential ordinance to clip the powers of NAB are being considered. That may be the last nail, if one was needed. – If that happens, the Supreme Court will immediately come into action. The deadlock will deepen further, the swirling mud pond more stinky. – The joke now being perpetrated as Senate elections may also be swept aside by the Courts or makes the Upper House look ludicrous. – Every political initiative, based on negative intent and perverse logic will have failed. In such a scenario, with Punjab government deadlocked, Centre not responding to correct the wrong, all institutions fighting each other, there will be no way out but for the Supreme Court to invoke Article 190 and ask the armed forces to intervene in whatever shape and manner was deemed necessary. In Punjab this quiet intervention has already happened with Rangers taking over security of NAB headquarters where Cheema was kept. The obvious threat was not from anyone but the Punjab Police and other security departments. In short an internal subversive threat. The catch in this situation is that Nawaz has been asking for such an intervention by his provocations and stinging attacks on other institutions. The policy of restraint did not allow him to claim victimhood so far. Now the institutions have moved on as the final verdict declaring Nawaz and family as convicted criminals is almost ready to come. That probably was the deadline for the institutions to pursue the restraint. Now it is time to show some teeth. The few remaining days may even see a more desperate Nawaz and his family committing more shocking attacks on the institutions. A physical attack on the Supreme Court or the NAB court could also be anticipated. Surely it would be prevented. The bigger failure is that the political system has failed to stop any of these violators from thinking irrationally and for the larger cause of keeping democracy running. All other parties could have joined in a roundtable to advise Nawaz and family not to destroy everything. But they are so deeply divided they have lost the capacity to think even about their own future. Some parties are crying wolf, shouting loud but if Nawaz succeeds in carrying out a suicide attack on the political system, all parties will lose.